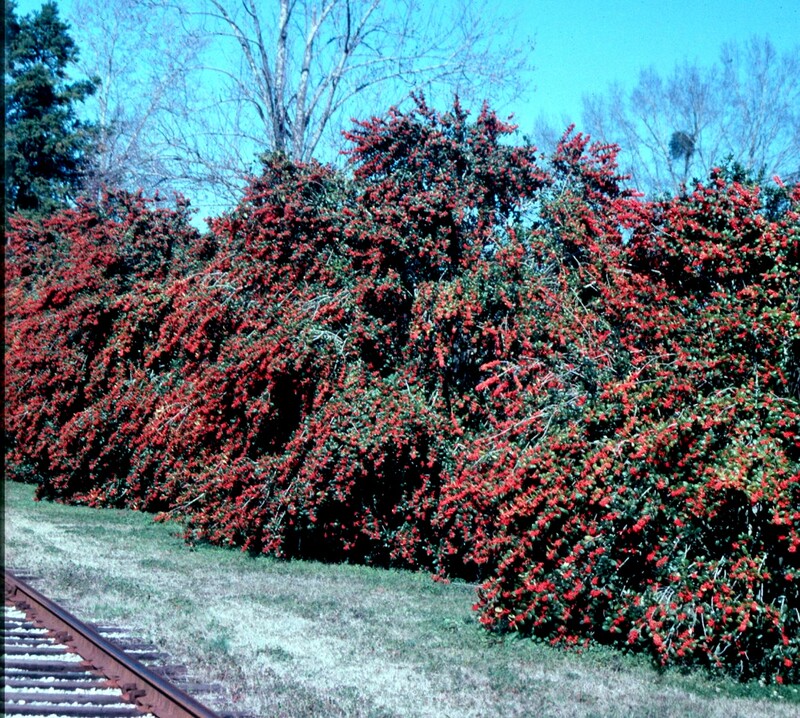 Comments: This species is a fast grower, produces heavy crops of persistant red berries, long lived, and has an upright to oval form. Uses include hedge, barrier, specimen, espalier and small tree. Fruit barely used as wildlife food. It is subject of insect infestations.